Product contains milk, and wheat. Produced in a facility that also processes egg, soy, peanut, and tree nuts (pecans, almonds, coconut, cashews, walnuts). 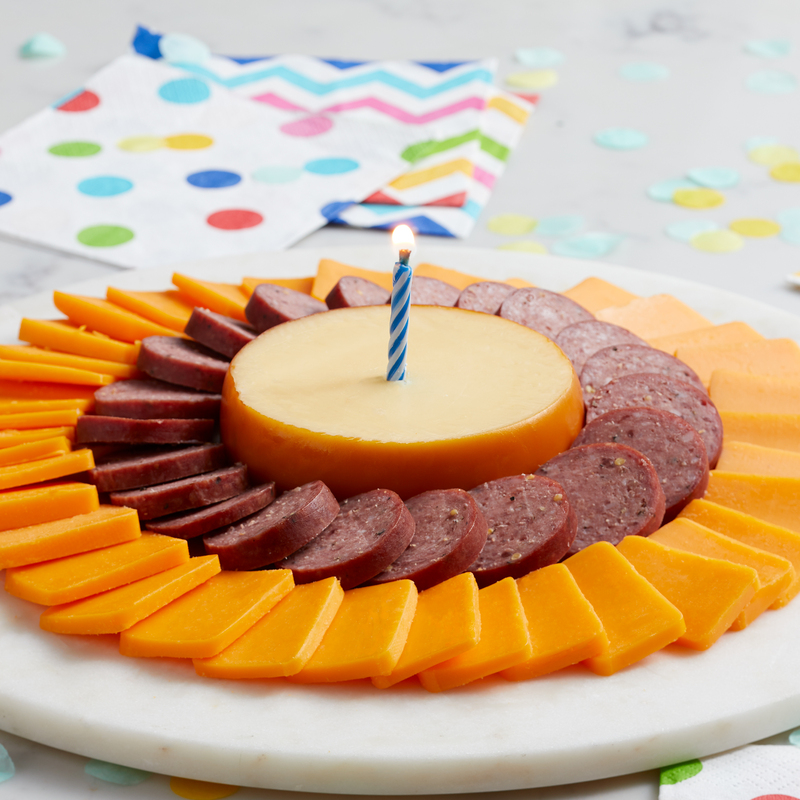 Celebrate a special birthday with some of our favorite cheeses. 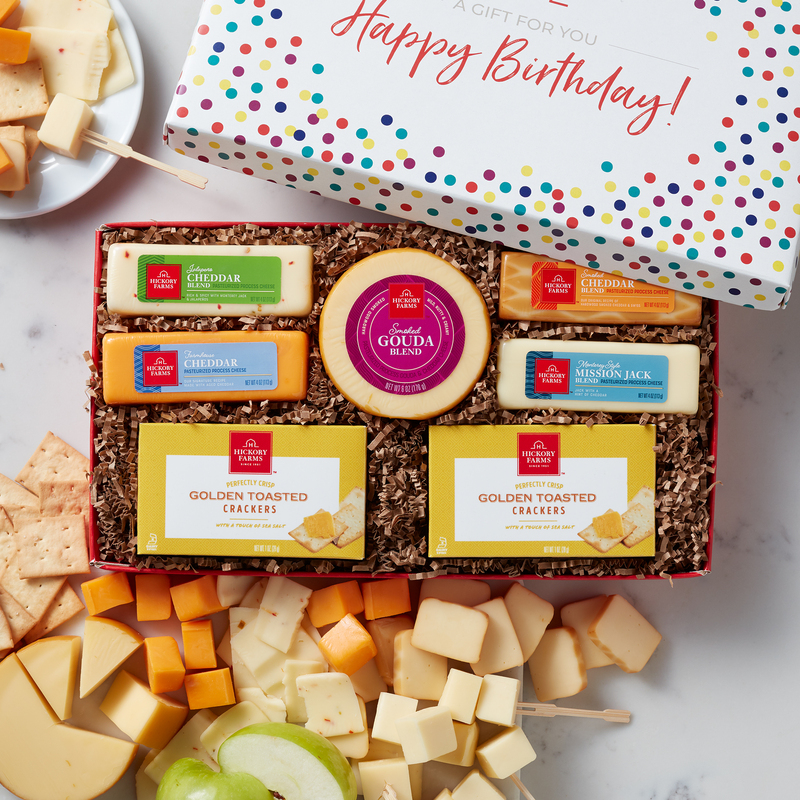 This gift is filled with Smoked Gouda Blend, Jalapeño Cheddar Blend, Farmhouse Cheddar, Mission Jack Blend, and classic Golden Toasted Crackers to create crunchy, cheesy bites. 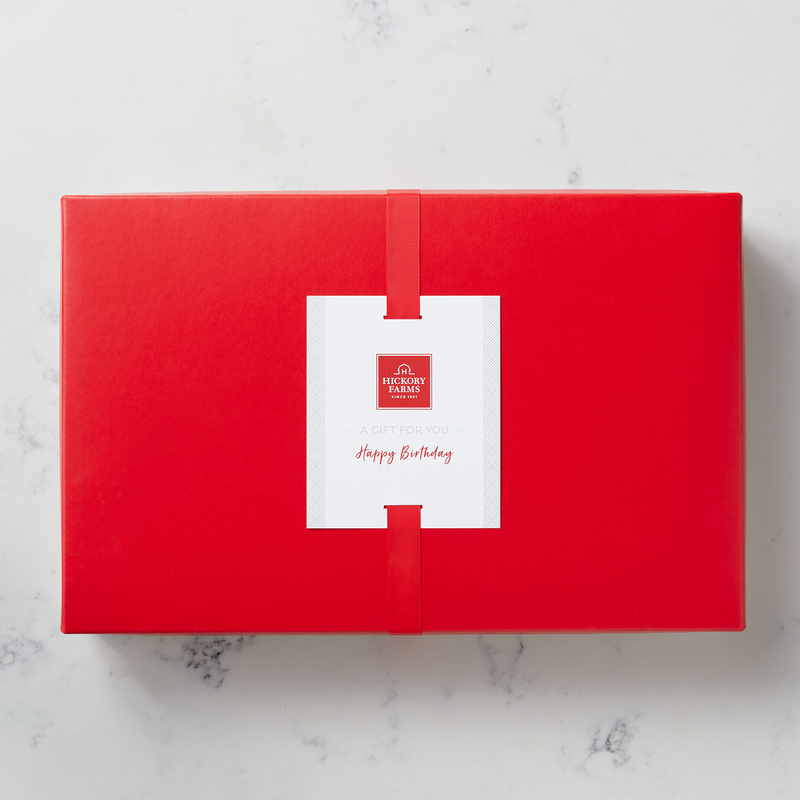 Topped off with a festive confetti lid, this is one delicious birthday treat!